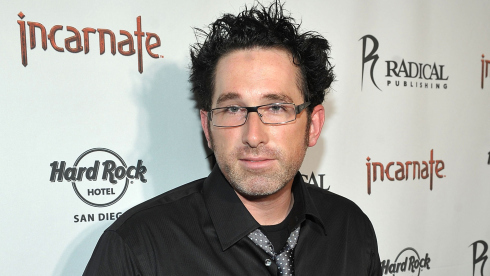 ‘Saw II’ Director Darren Lynn Bousman Bows ‘Abattoir’ Via Radical Studios (EXCLUSIVE) | Radical Studios, Inc.Radical Studios, Inc.
Darren Lynn Bousman, director of “Saw II,” “Saw III” and “Saw IV,” is set to direct “Abattoir,” which will be produced by Radical Studios, and brought onto the market at AFM by Paris-based sales company Versatile Films. Bousman will work from a screenplay by Christopher Monfette, who adapts the Radical Publishing comicbook miniseries created by Bousman. Currently in pre-production — casting is under way — “Abattoir” is scheduled to shoot early next year for a fall 2014 delivery. It centers on a Boston real-estate reporter who unearths an urban legend about someone who has spent decades buying homes where horrific tragedies have occurred, piecing them together. He is ultimately lead to the enigmatic Jebediah Crone and the answer to the terrifying question: How do you build a haunted house? “The concept of ‘Abattoir’ has been in my nightmares since I was a kid. I couldn’t be in better hands than with Radical Studios, who has taken this idea and helped me develop it into a truly terrifying concept, a new spin on the haunted house sub-genre,” Bousman added. Radical Studios most recently co-created and co-produced Tom Cruise starrer “Oblivion” and finalized production for MGM/Paramount on Brett Ratner’s “Hercules,” starring Dwayne Johnson. “Abattoir” is the first film at Radical’s horror/thriller genre label, Dark Web. Exec VP Jesse Berger will produce alongside Santa Monica vfx house Hydraulx (“The Avengers,” “Avatar”) and Paris-based Les Enfants Terribles. Key techs include Belgian d.p. Maxime Alexandre (“The Hills Have Eyes”) production designer Jennifer Spence (“Insidious 2,” the “Paranormal Activity” saga), and Paris-based post-prod team Hands Up! (“The Grandmaster,” “Maniac”). Executive producers are Radical Studios prexy Barry Levine, Hydraulx CEO Greg Strause, “The Devil Inside” director Brent Bell, and “Spring Breakers” producer Chris Contogouris. Brent Johnson and Radical Studios partner Billy Hines co-produce. Versatile reps world sales rights outside the U.S. Radical Studios retains U.S. rights. “The wonderful thing about Darren’s vision for ‘Abattoir’ is that it combines elements of classic, old-school horror with a very modern, high-concept idea and a terrifying mythology,” Berger said. “Abattoir” is the second high-profile English-language production boarded by Versatile in recent months. In association with Funny Balloons, the new sales company, founded by Violaine Pichon and Pape Boye, is also co-producing and selling “Nasty Baby,” helmed by Sebastian Silva (“Magic, Magic”) and co-starring Kristen Wiig.